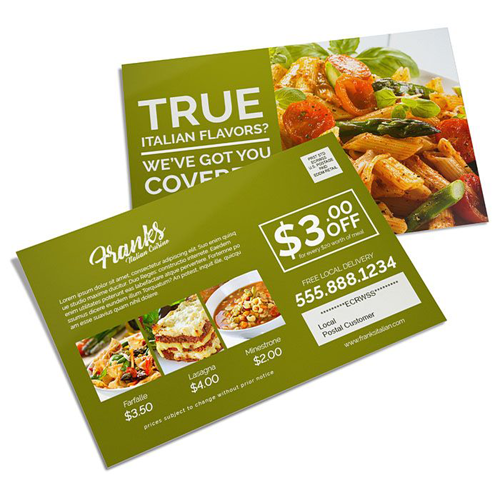 Experience how easy it is to launch your postcard marketing campaigns with our custom postcard printing. You can upload existing design files online or create one using our online design tool. 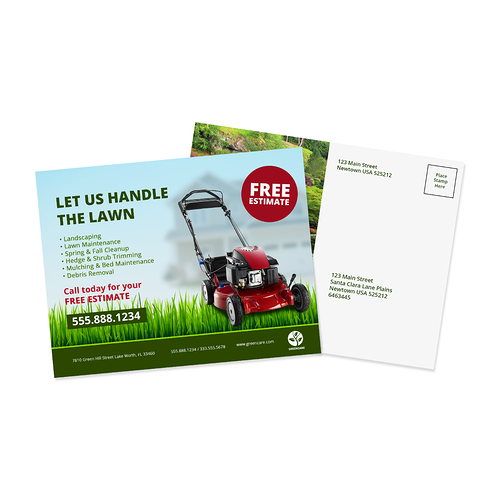 From there, we can print custom postcards and send them out for you. We have six custom postcard products to choose from. You can print yours and have them sent to you in one box. There are multiple postcard size options to pick from including 4” x 6”, 5” x 7”, and 6” x 9” — so no matter how big or small you want them, there’s a size that’s right for you. They can print 1 business day after they’re ordered. With EDDM® (Every Door Direct Mail® by USPS), you can send postcards to a specific zip code all while targeting by age group, income, or household size. It works well for small- to medium-sized businesses who’d like to increase engagement with their community. EDDM postcards come in several sizes as well, including 6.5” x 9”, 6.5” x 11”, and 8.5” x 11”. Finally, we have postcards with mailing services. Customers can rent a customer list or use their own. We take care of the postcard printing and mailing for you. By renting a residential or commercial list, you remove the time-consuming process of gathering leads yourself and make sure you’re targeting the right people. 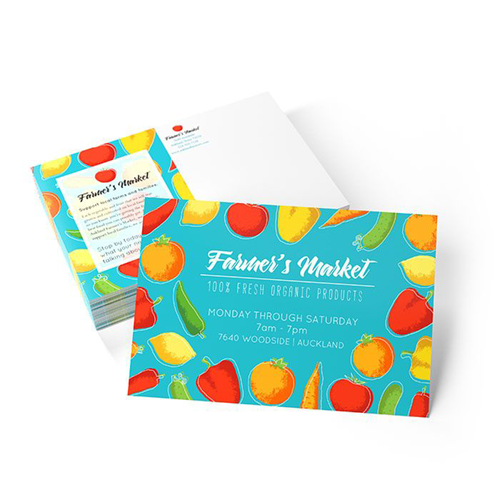 Our postcards can help businesses with ongoing promotions or upcoming events. They also work for political campaigns, as real estate postcards, or for advertising a sale, since materials are sent directly to targeted individuals.